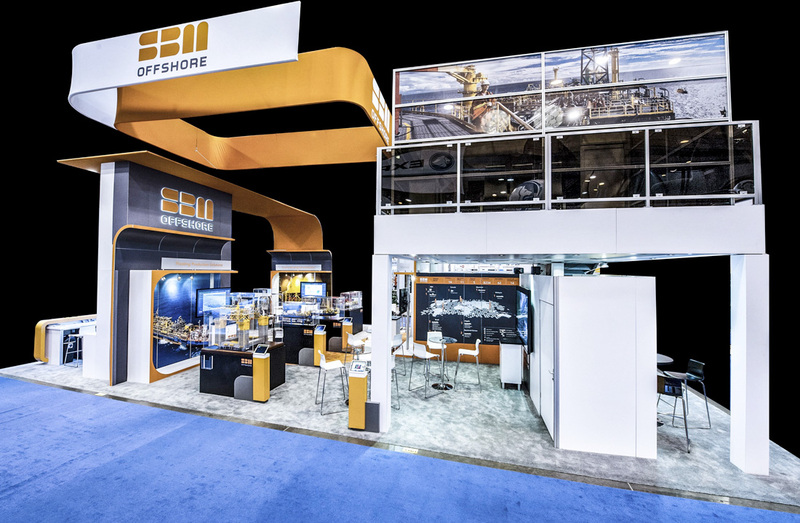 Capturing the attention of key clients and prospects in a sea of more than 2,600 exhibitors was one of many critical objectives for SBM Offshore at the 2015 Offshore Technology Conference (OTC). 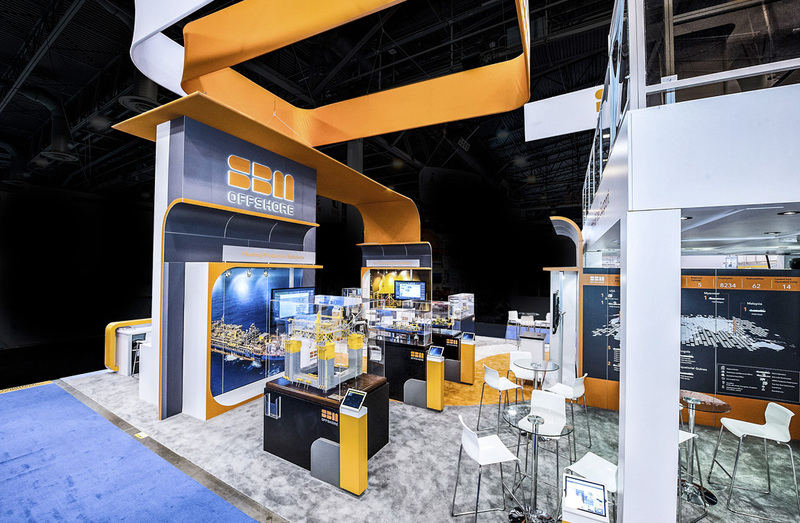 With a prominent booth location, much was expected of this bright and bold exhibit environment. 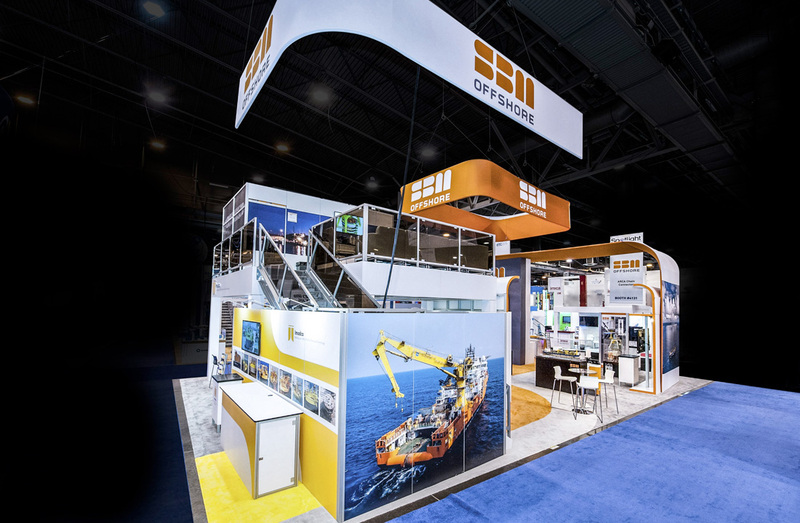 Exceptional hospitality, building relationships with current clients and an open, inviting environment are key objectives for SBM Offshore. 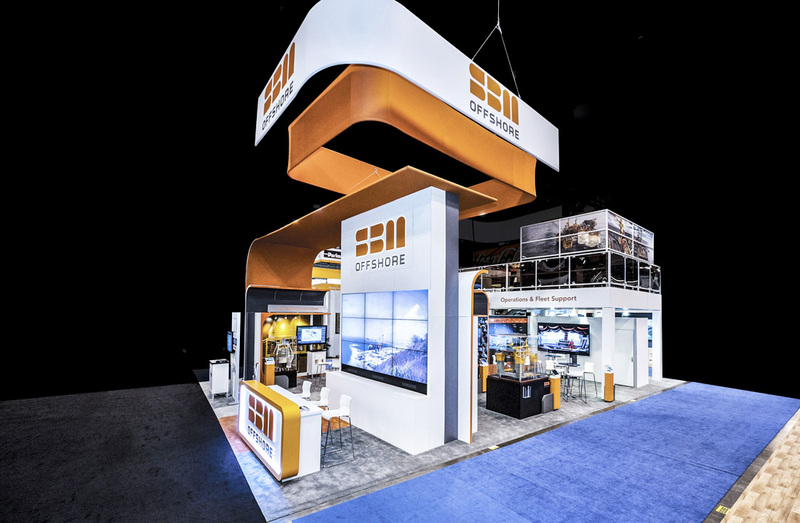 From an increased footprint to a new second level for increased hospitality, comfortable lounging, and a polished meeting space, the exhibit also focused on brand awareness and ample room to SBM’s areas of expertise. Creativity reigns supreme in this curvy yet thoughtful booth. Fabric headers warmed and unified the space while models – showcasing the intricacies their FSPOs and ships encourage engagement and conversation. Once inside the booth, visitors are immersed in a modern, polished environment peppered with pops of color. The iconic and highly recognized brand symbol found in the uniquely designed and eye-catching components of the SBM logo are thoughtfully included throughout the design. Once inside the booth, visitors are immersed in a modern, polished environment peppered with pops of color. The iconic and highly recognized brand symbol found in the uniquely designed and eye-catching components of the SBM logo are thoughtfully included throughout the design. The addition of a double-deck resulted in increased one-on-one client meetings, along with enriched relationship-building in the casual, comfortable second-floor lounge. Dwell time was increased two-fold, year over year and engagement was increased, again by almost double, as clients were able to spend time with the SBM Offshore team, viewing models, engaging with the corresponding iPad touch screens.